Atlanta, Georgia, USA- branding consultancy, EPiC Measures LLC, will launch its inaugural Business Development Exchange in partnership with event management and marketing solutions startup, T Marie Concepts. Titled, “Mingle, Master, and Market”, the U.S. segment of the Exchange will broadcast live from Emory University Goizueta Business School from 9:00 to 11:30 a.m. EST. 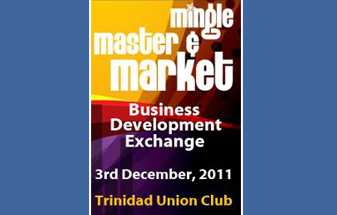 The Caribbean segment of the Exchange will be held at the Trinidad Union Club in Port-of-Spain, Trinidad. Speakers from the United States and Trinidad will participate via audio-video conference in what is dubbed as an “interactive experience”. The Exchange is designed to provide marketing and sales tools that enable small business owners and entrepreneurs to grow and prosper. Please Login for full article.